August 27, 2018: Pre-Season Sing – 7:30 – 9:00pm at First Baptist Church, Littleton, MA. All are welcome. December 2, 2018: Annual Messiah Sing benefiting Loaves & Fishes. The sing begins at 2:30pm at First Parish Church in Groton, MA. 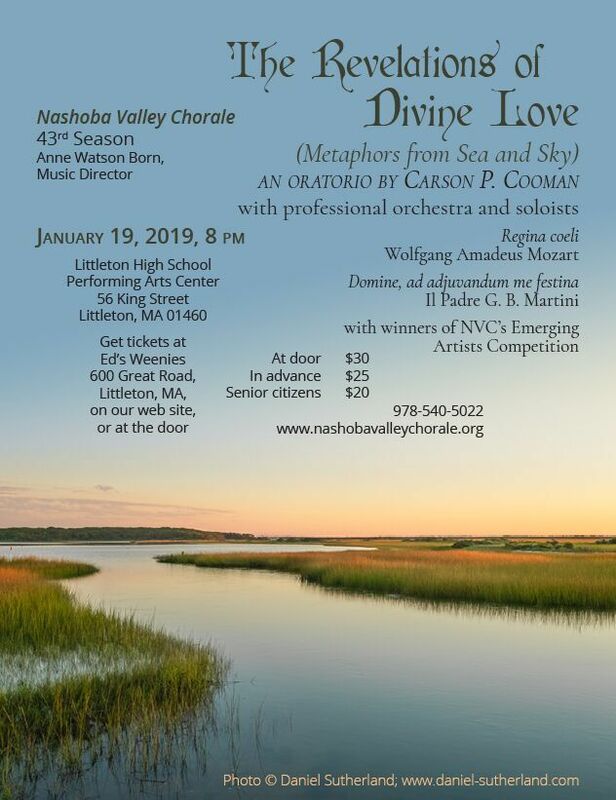 The Nashoba Valley Chorale is a mixed-voice chorus with 90+ members based in Littleton, Massachusetts. Our singers come together from a wide range of towns in Eastern and Central Massachusetts and Southern New Hampshire. Each season we perform choral masterworks with professional soloists and a professional orchestra. 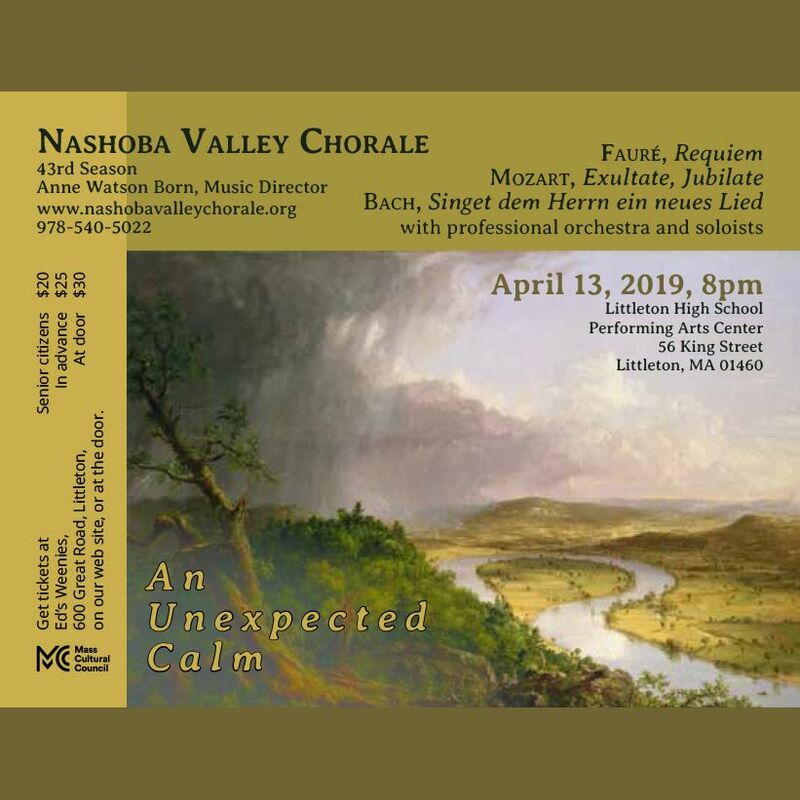 We have recently performed: Brahms’ Ein Deutsches Requiem, the Verdi Requiem,Gjeilo’s Sunrise Mass, the Mozart Requiem, the Mass in B Minor by J.S. Bach, Orff’s Carmina Burana, and many other major works, under the artistic leadership of conductor Anne Watson Born. We love making great music together, and we work hard in rehearsals to bring an expressive and thrilling sound to our performances. We are a jovial and friendly group of people from all walks of life who enjoy singing together.